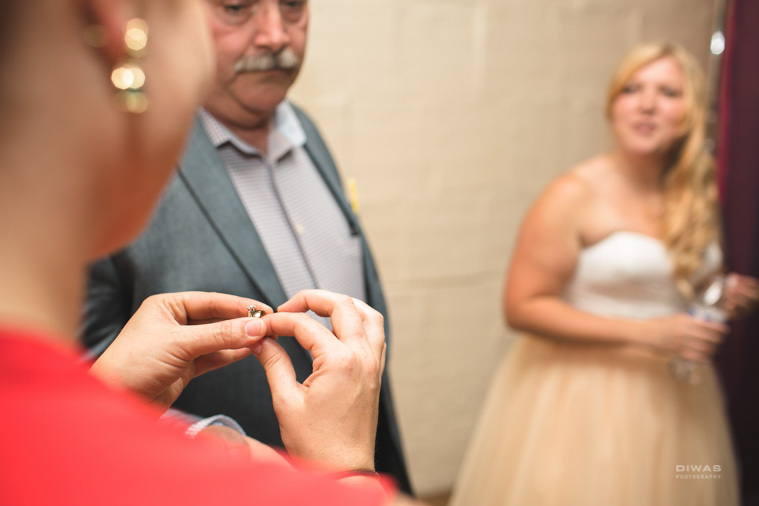 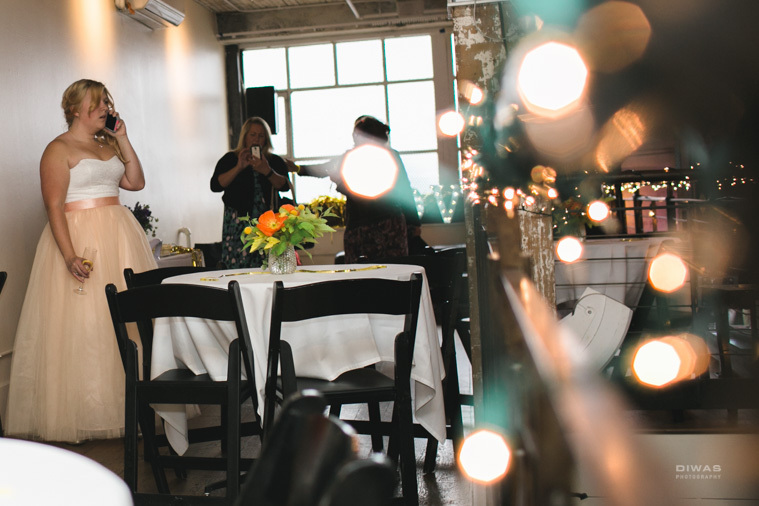 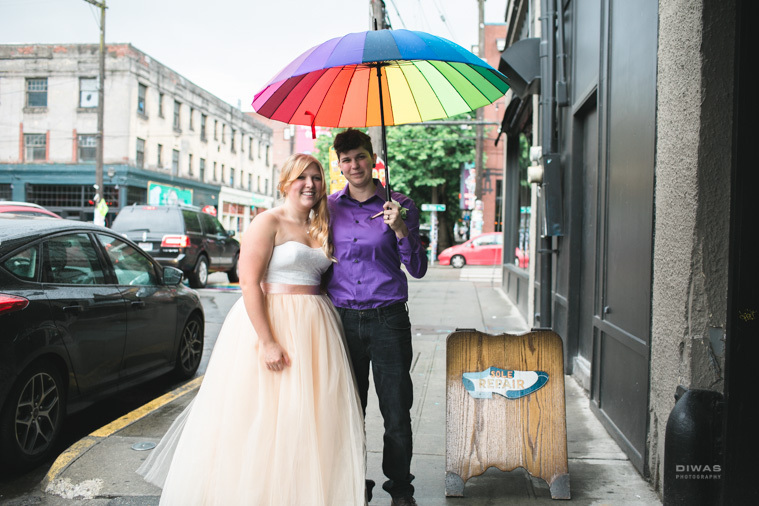 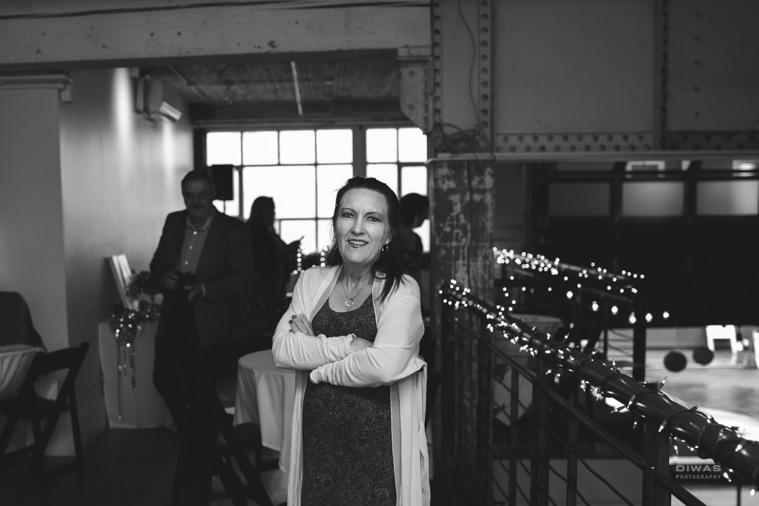 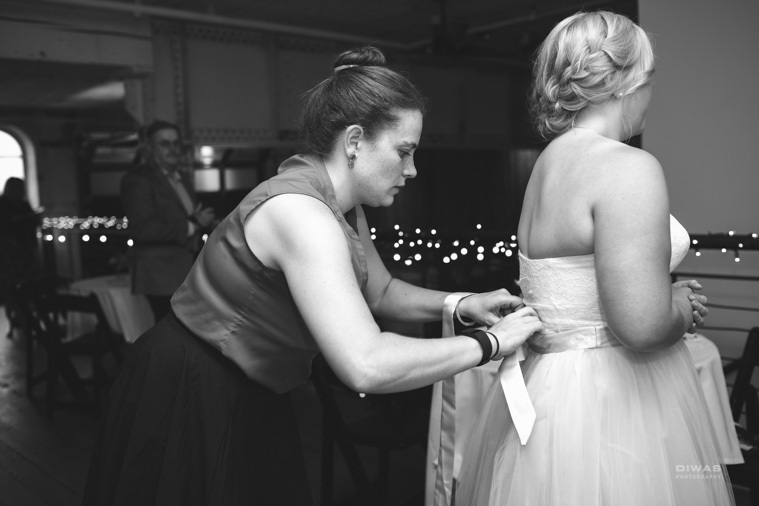 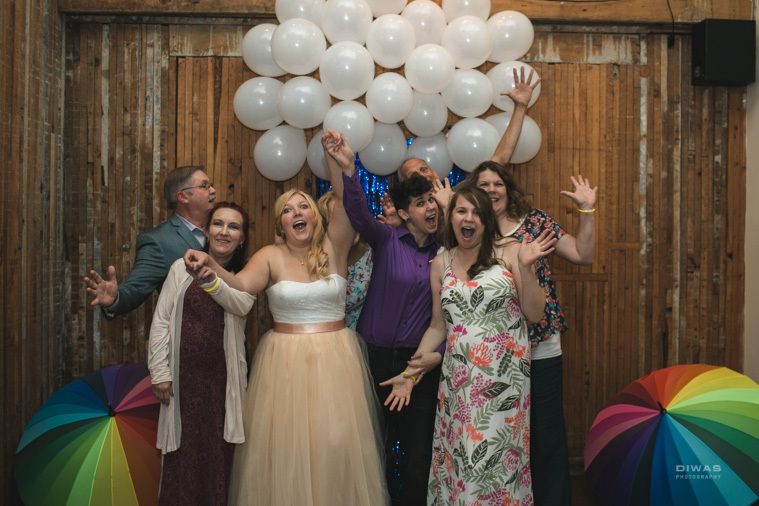 The Big Beautiful Package vendors did it again at Sole Repair – this time, we were doling out parties and elopements (Congratulations, Casandra and Rachel!) 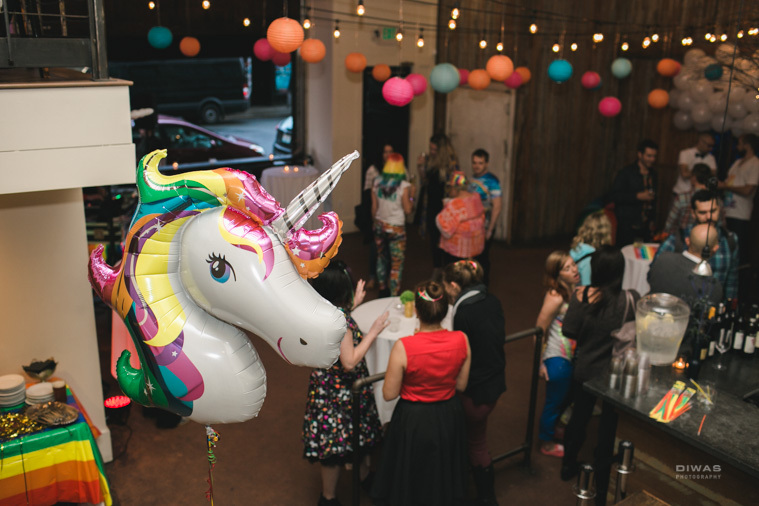 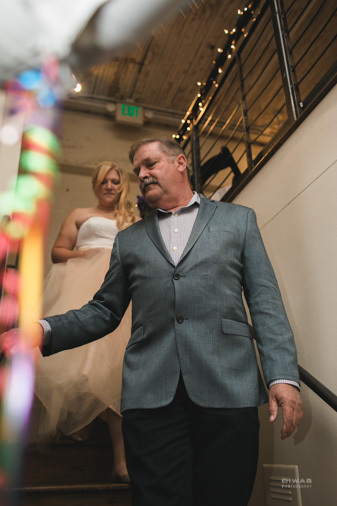 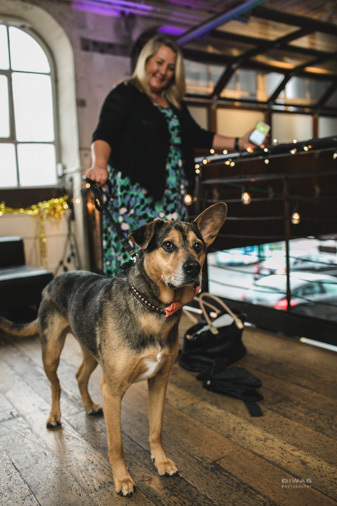 as a way to celebrate love and kick-off Seattle Pride week at Capitol Hill’s own, Sole Repair Shop with nibbles and libations from FeedCo Catering. 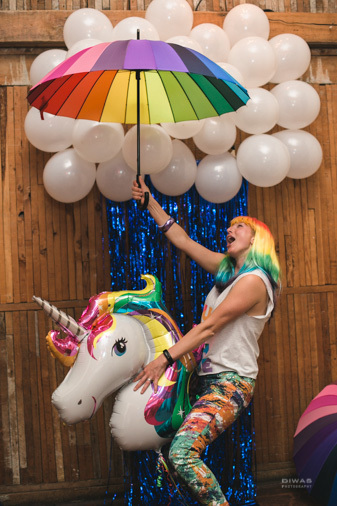 It was full of rainbows, unicorns, love, magic and…. 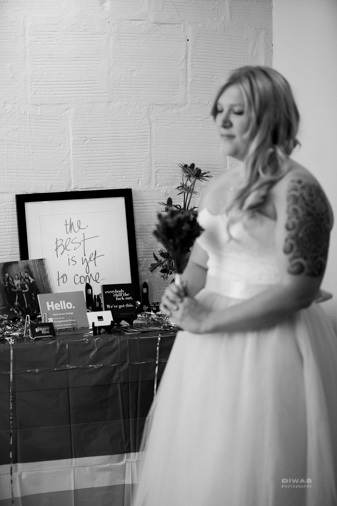 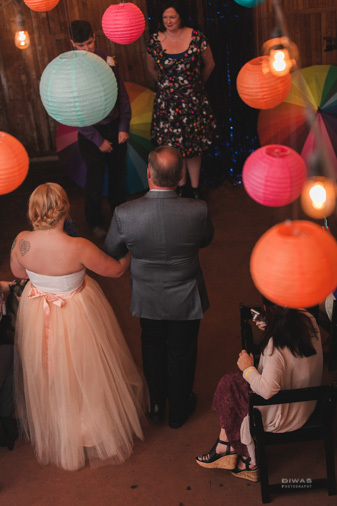 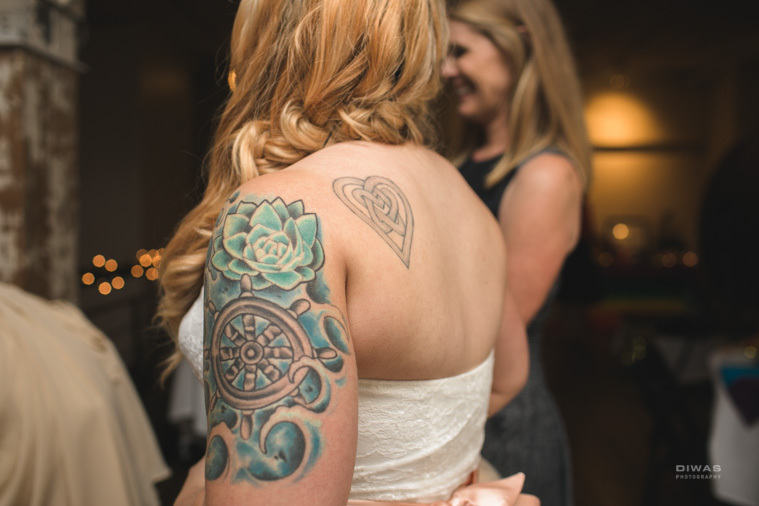 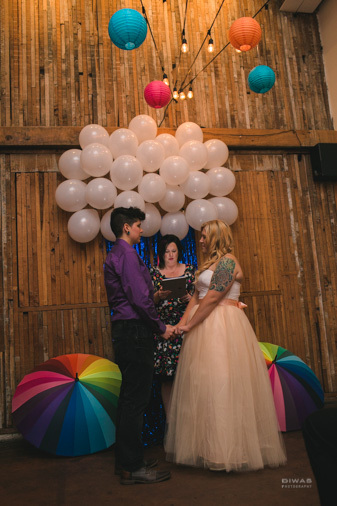 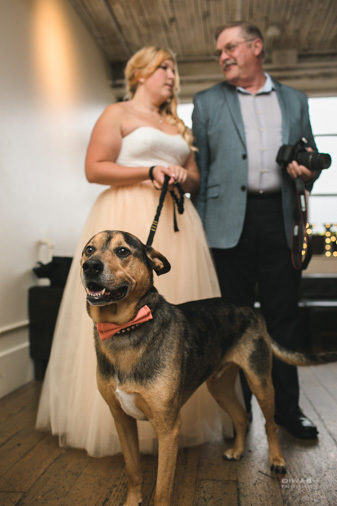 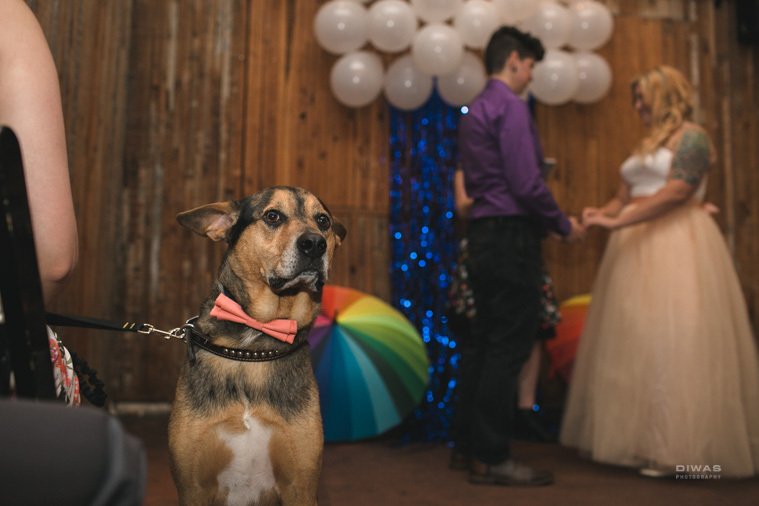 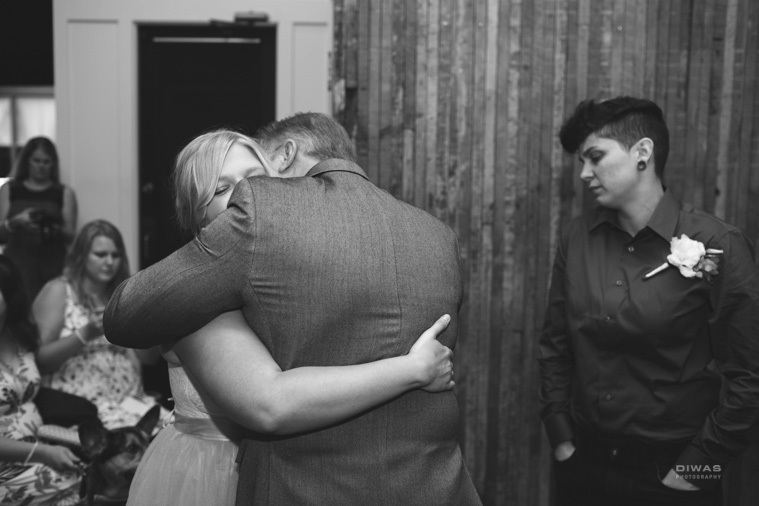 an AWESOME team of vendors including Natalie of Gingerbee Event + Design, Bec of Blush Celebrations doing day-of coordination (including her first time serving as an officiant! 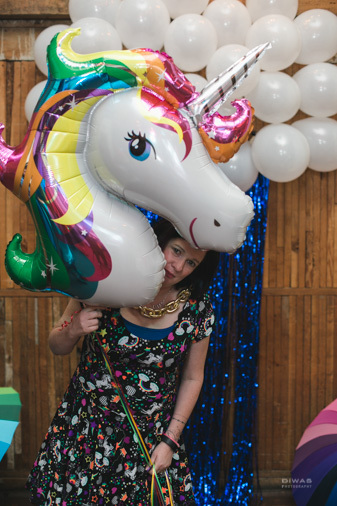 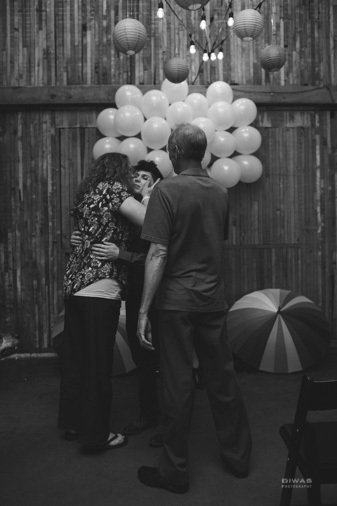 ), DJ Gumbeaux of Magnolia Rhapsody, and event photography/photo booth by Diwas + Sadie. 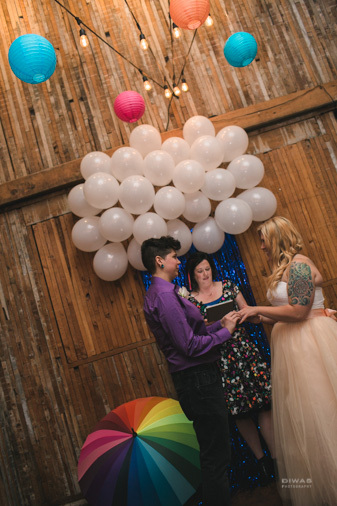 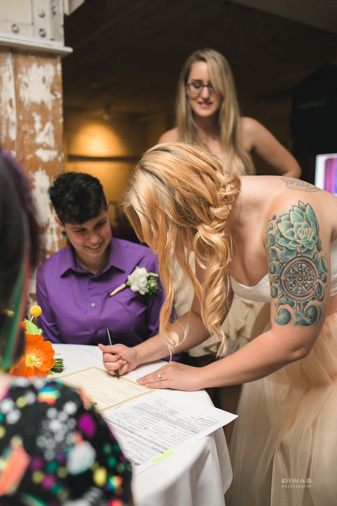 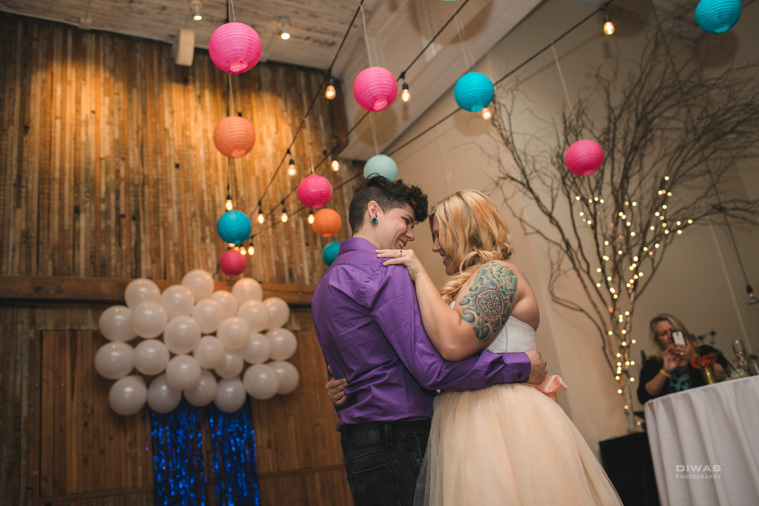 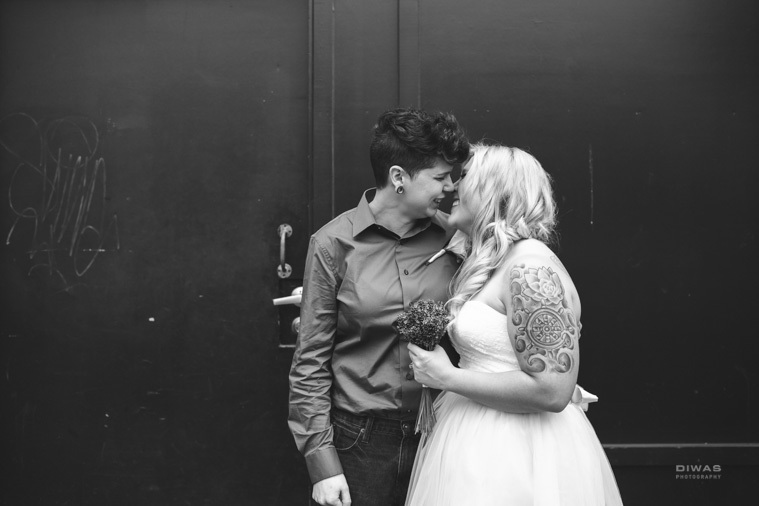 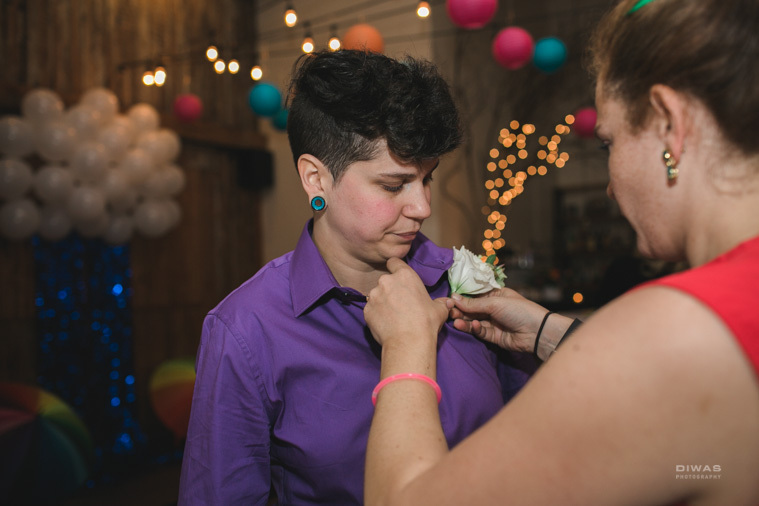 It was incredibly awesome to also have Emerald Media Services offered their excellent videography skills to our Pride Party/Elopement, too. 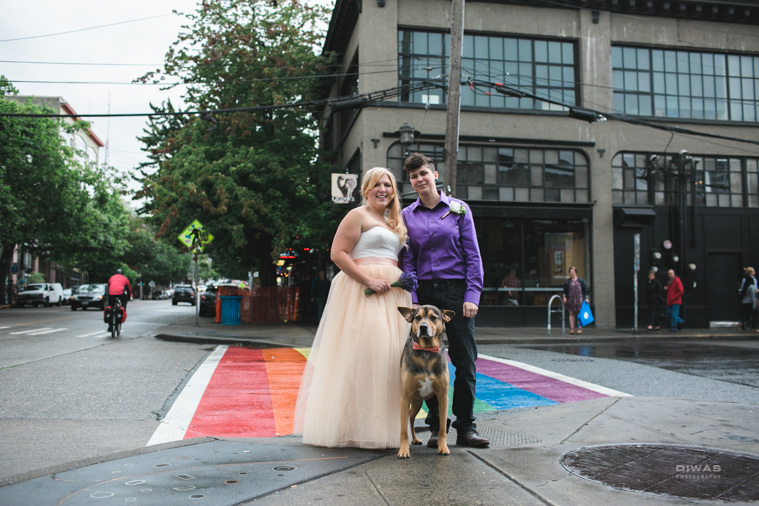 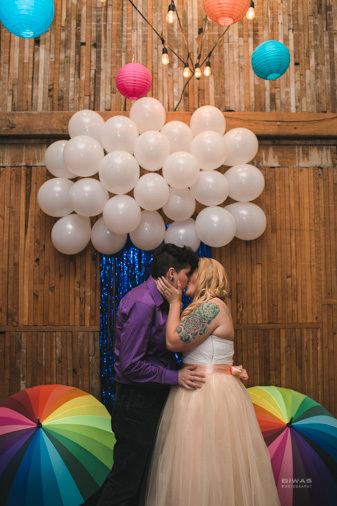 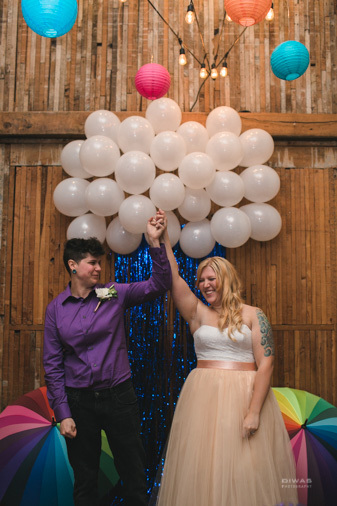 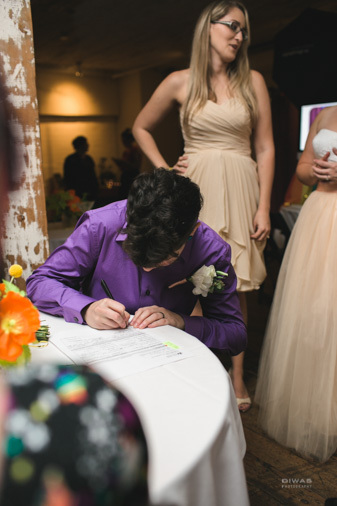 Without further ado… Cheers to our newlyweds, and all the party people who helped celebrate love with pride!